"... some core activity of gameplay (which, given how prominent violence is in games, is often a battle), and then a shell around it, which has everything else." "The shell often has progression elements, like management of experience points and levels, talent or tech trees, and sometimes non-progressions elements like the story." "A typical player in a typical game of this sort constantly jumps between the core and the shell: Does a battle in the core game, then levels up his character in the shell game, to go back to the core battle with a stronger character." I'm not sure why Tobold thought the concept required a new name. It seems to me he's describing the phenomenon that was all over the mainstream media a few years back: Gamification. Gamification is the application of gamelike processes to activities other than games. In Tobold's "core shell model", the whole thing becomes self-reflexive, not to say incestuous, with games themselves being gamified, the "gamelike processes" in question, being drawn primarlily from a specific genre of gaming: the RPG. Gamification, fittingly, began in games long before breaking out into the wider world. The concept had increasingly been applied within gaming to genres that previously hadn't appeared either to want or need them. Indeed, the supposed manner in which all games were becoming RPGs was quite the controversial topic in gaming circles for a while. As Tobold rightly implies, it's a battle that's largely been won. Or lost, depending on your point of view. Many, perhaps most, video games being brought to market over the last few years utilize mechanics and structures that would once have been alien to their form: levels, badges, achievements, rewards. The BBC article linked above takes great pains to trace such devices back to the experiments of BF Skinner, creator of the infamous "Skinner Box" and the system he called "operant conditioning". There was a time when no discussion of MMORPGs was complete without a discourse on Skinner and his eponymous box. It was as common a trope as Pavlov's Dog or Schroedinger's Cat, and often as badly misunderstood as either of those overused and misapplied metaphors. These days you barely ever hear it mentioned. The underlying methodology is now so established it's taken for granted. Like every other battleground in the history of video gaming - free to play, pay to win, microtransactions, randomization, games as a service - all territory once defended has eventually been ceded. Gamification also seems to be a peculiar property of digitalization, another threat mainstream media once reviled but now appear to have forgotten completely. Going back to Tobold's concept of cores and shells, physical games frequently, indeed usually, have only a core. They tend not to be amenable to Skinner's conditioning except inasmuch as you can structure competitions around winning. You can, of course, have ranks and levels in a game like Chess. What you can't do, however, is dole those out automatically to anyone who presses the right button. To rank up in chess you have to get better at the core activity, something that's an anathaema to the shell. As for Pay to Win, you can buy all the solid gold, jewel studded, Collectors' Edition chess sets you want but no amount of money spent on pieces or boards will help you win more matches. Unlike Tobold's beloved World of Tanks. Video games were once far more like their analog counterparts than anything we see today. Pong, Space Invaders, Tetris - all pure core, no shell. I imagine even now there must still be a few new games like that, although I can't bring any to mind. Even the simplest Match 3 comes with titles, levels, badges... who'd play one that didn't? Is any of this a bad thing? As a lifelong moral relativist I'd have to say it depends. My natural inclination is to be suspicious of extrinsic reward modifiers to activities that have intrinsic rewards of their own. I often used to suggest, when writing about MMORPGs, that the ideal MMO would have gameplay so compelling, so entertaining, that, were all the leveling and questing and character progression to be stripped away, players would go on playing indefinitely for the sheer pleasure of the mechanics involved. That has, to a significant extent, been the case for me in some games. There have been numerous times when I stopped progressing my characters or improving their gear, ceased to follow the storyline, eventually abandoned all those "shell" activities, yet still continued to log in and play. I used to do it in Rift, with the Stillmoor invasions or in Battlegrounds in World of Warcraft and Warhammer Online, all of which I played to excess for the thrills and excitement alone. I was doing it as recently as last night in Guild Wars 2's World v World, where I spent nearly three hours following a Commander for no better reason than that he happened to invite me to his squad while I was doing my dailies and it turned out to be fast, furious fun. 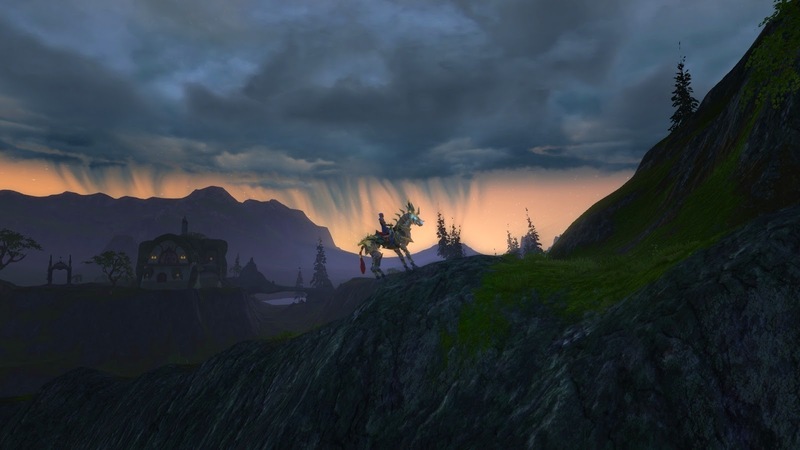 To be worth doing for the sake of doing it, content in an MMORPG doesn't have to be PvP, much though many PvP advocates would like to convince us otherwise. 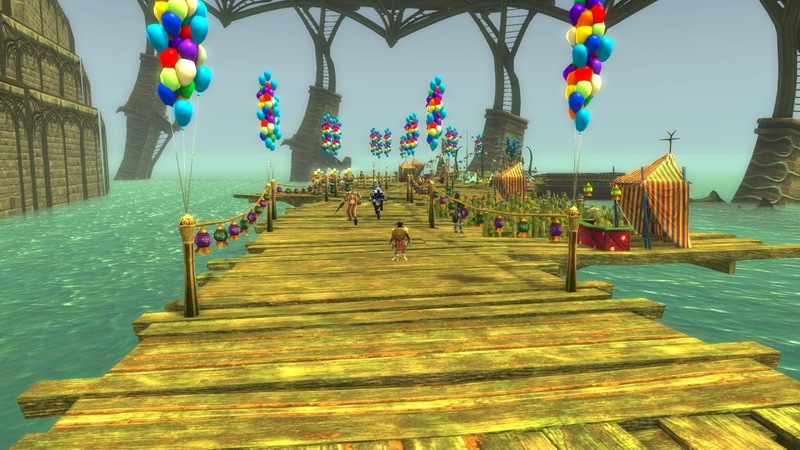 Stillmoor wasn't and neither is GW2's ninety minute meta-event, Dragon's Stand, which I used to do on many a Sunday evening for the sheer hell of it. Tobold is correct, though, to point out that, generally, this kind of "core" activity does involve combat. There are plenty of other things you can spend countless hours doing in MMORPGs which don't, of course. The thing about most of those is, they don't really have much to do with "games" in the first place. 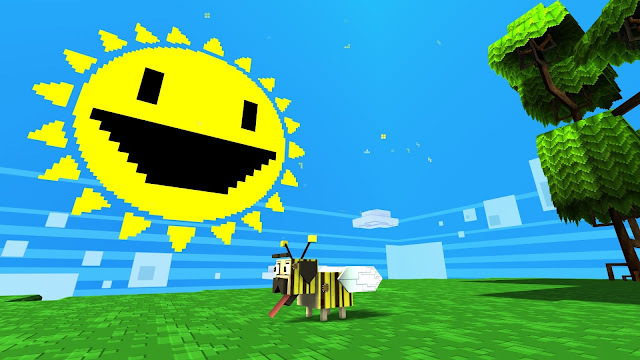 Whether uncomfortably bolted on or lovingly integrated, building and decorating activities function primarily as kind of crafting hobby within the gamespace, the digital equivalent of knitting or model-making, while collecting is... well, it's collecting, isn't it? The more I think on it, though, the more essential, the more core, at least some of those "shell" activities seem to be. For an MMORPG, anyway. 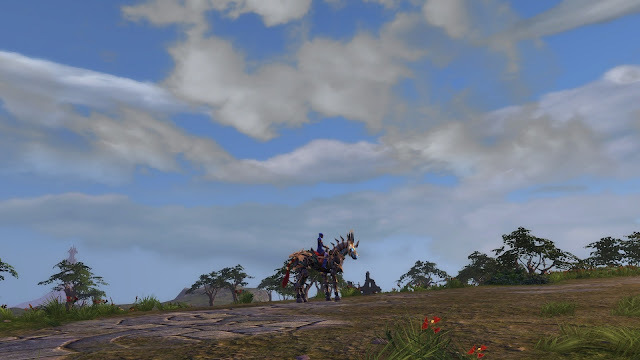 I'm no longer at all convinced that the goal of great MMORPG design should be a gameplay loop that's so ineffably pure it both encourages and sustains endless, purposeless play. Even were it to be achievable, it sounds disturbingly like wireheading without the wires. On the other hand, do we really need all our simple pleasures shored up by rewards, scaffolded by achievements, celebrated by badges? Isn't it enough to have fun for fun's sake? Perhaps that does seem rather a hypocritical question for me to pose right after I've just been praising Rift's reward system for its success in pinging my dopamine receptors. 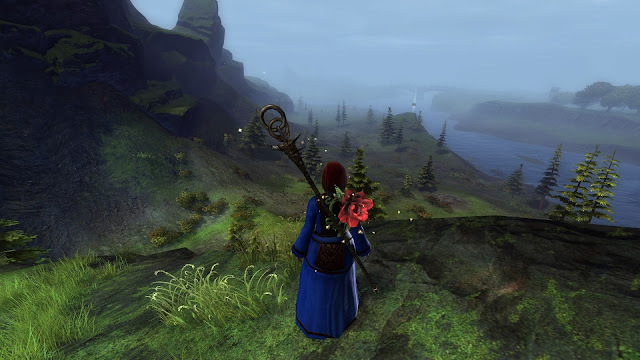 The fact is, though, I played Rift for ninety minutes before starting this post because I enjoyed the questing yesterday and wanted more of it. The rewards are all in the bank, where they'll probably remain. In the end there's no clear path to perfection or purity and we all know most of these systems exist to separate us from our money. Many have no other function, particularly in the increasingly inapporopriate settings we now find them. In games that lie solidly within the RPG genre, a hinterland that would include all true MMORPGs, the line between core and shell is much more blurred. As Tobold says, you can have satisfying tank battles without any of the rpg elements. It's hard to imagine how you could take the progression out of a genre predicated upon it being there, although I'm sure someone's trying to come up with a way to do just that even as I type. Looking back at those apocalyptic predictions from a decade ago, the world doesn't seem to have given in to gamification in quite the way the doom-mongers suggested. I'm not going to earn a citizenship badge for voting in next month's council elections and the new toothbrush I bought this morning is still just a determinedly analog piece of plastic with bristles. I waited until today to see if my Rift: Prime character would show up. It was supposed to be the last date for transfers to be completed. Nothing. I can't even see the Trial server, the aptly-named Reclaimer, on the shard list. That's because you can only see it if you have a character there. Clearly, I don't. Why not? I'd like to know that, too. I read the full text of the official announcement as well as the forum post and FAQ. Nowhere does it say that characters need to have reached a specific level to be eligible for transfer but I got a hint that that might be the issue when I tried to post a query on the official forum thread. Since I can post perfectly happily on other parts of the forum I'm guessing that Level 10 is some kind of baseline reality check for Prime. I was under the impression I'd passed that bar because, as I mentioned in the previous post, I thought I'd gotten into the high teens when Prime started. One of the best things about having a blog is that, at least when it comes to gaming, I don't have to rely on my memory. I looked at the post I wrote when Prime launched. 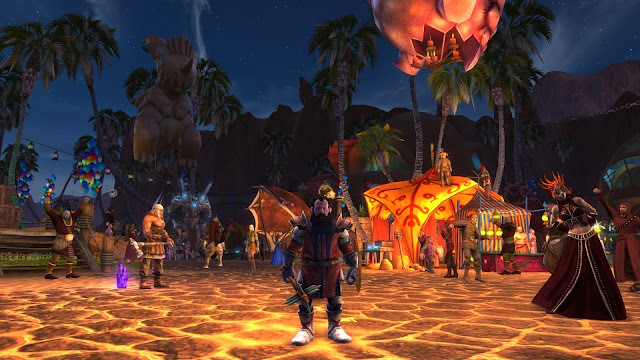 It told me two things: I didn't get anywhere near as far as I imagined (it seems I logged out the moment I dinged eight and never logged in again) and I had far less fun than I thought I did. 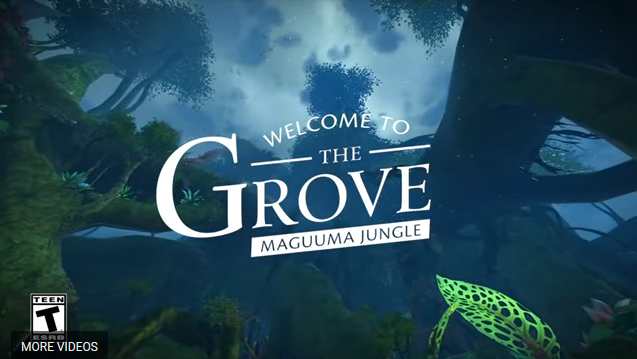 "The game dumps you at the wrong end of the starter zone and throws a whole lot more lore nonsense at you before offering you the first of what will be a seemingly endless series of the most mundane, trivial quests ever seen in a major MMO... I honestly think I have never seen so many lacklustre quests in one game. Even the dullest of imported F2Ps has more to offer in terms of wit or imagination than this." All of which makes it quite ironic that I'm writing this up after spending nearly two hours on a random quest I picked up in Meridian, the Defiant capital. A quest I got so wrapped up in that I almost missed my lunch. It wasn't my plan to start playing Rift again at all, far less start doing extended quest chains on my highest level character. I kind of fell into it. Or was lured. As I mentioned last time, Rift can be extremely "rewarding". I've played some Rift most days this week but today was the first time I did any actual adventuring. It was the first day I'd had time. Mostly I've been too busy claiming rewards, sorting inventory and setting up hot bars. I mean, I like free stuff as much as anyone but this is ridiculous. It would be one thing if it was just a bunch of old tat, like it is in most games, but there's good stuff in here! The highlights were serious upgrades to the main weapons of several characters and the fastest mounts I've ever owned in Rift for all of them. The massive increase in generosity is just one of the ways Rift isn't quite how I remember it. The game has changed a lot since I last played it properly but all of those changes were completely invalidated by the Prime experiment. I had no chance to evaluate them there. Pete from Dragonchasers has a post up about why retro or progression servers don't work for him and I share a lot of his feelings on the subject. Classic or re-start servers have a huge appeal, not only because of the crowds and the buzz and the everyone in it together thing but also because the gameplay is so much simpler. It's all kill mob, do quest, gear up, train skill and after twenty years no-one really needs any of that explaining. 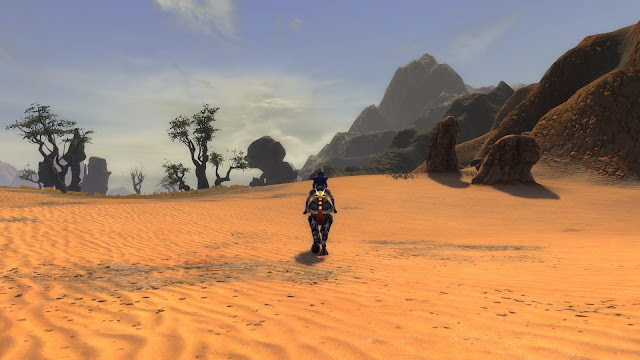 Mature MMORPGs have a plethora of labor-saving devices, everything from fast travel to auto-populating skills. If you're used to those you're going to miss them and even if you're not you're soon going to run up against the reasons they were added to the game in the first place. I was unaware just how many such short-cuts Rift had taken since I last played on Live until a conversation sparked off in Level 51-59 chat this morning. Someone piped up to say they hadn't played for many years and the hints and tips began to rain down. Most of the quality of life improvements mentioned were entirely new to me. I had, for example, no idea the game would now call on items in your main bank to complete quests, for example. With inventory space ever at a premium in Rift that's a potential gamechanger, not least because, at some point since I last played, basic vault storage appears to have been doubled, leaving all my characters with a wealth of free bank slots. Another change is that falling damage has been completely removed. That seems odd, although very welcome. I also happened upon a quest that downlevelled me from 51 to 15 but continued giving me the same amount of xp I would have got at the higher level. That never used to happen. Telara is still as level-gated as always but who knows how many side doors there might be by now? Sadly, there don't seem to be any very helpful "What's changed since you last played" guides for returning players. Well, there are quite a few but they're all either out of date or relate entirely to end-game, which, reading up on it, would appear to be so different from the Rift I know that they might as well have given it a new name and put it on a separate server. 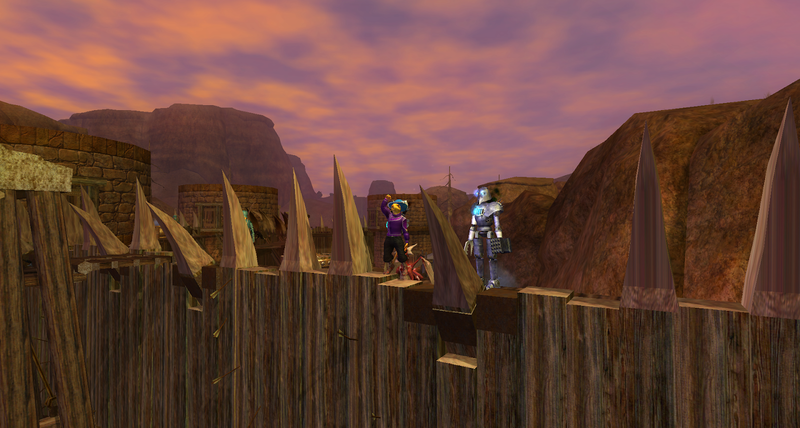 I admit to being a little impressed by the amount of work Trion must have put in during the last few years. The whole operation seems a lot slicker and more streamlined than the genial shambles I remember from my earlier visits. Pity they went bust doing it. It's also a shame virtually none of that good work was evident in the rushed and ill-timed Prime experiment. 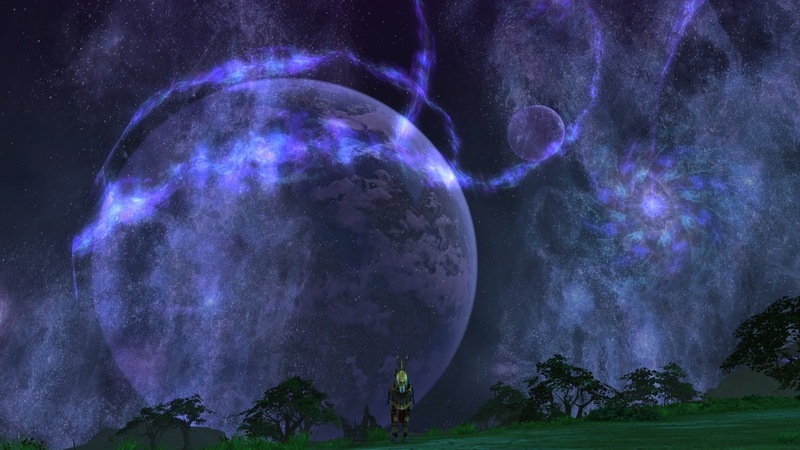 I can't help feeling that, were Rift able to launch as a brand-new MMORPG right now, with all its improvements and polish, it would be hailed as a breath of fresh air in a stale market. No chance of that. It seems the only way an old MMORPG can get any attention these days is to dress up in its oldest, drabbest clothes and offer people a bad time. Misery sells, it seems. And on that theme, I rather think my run on EverQuest II's retro-fitted Kaladim server might be coming to an end, at least for now. At Level 21 the game is managing to put on a surprisingly convincing impression of what I remember things to have been like not so long after launch. There's really not a lot you can do without a group and what you can do solo is excruciatingly dull. Authentic, maybe. Fun? Not so I'm noticing. Last time I went around this track I got off at around the same junction (Nektulos Forest and Thundering Steppes). I bailed until the Echoes of Faydwer expansion brought Butcherblock into the game, whereupon I managed another dozen levels before the server shut down and my Shadowknight got forcibly transferred to Antonia Bayle. It's been an interesting few weeks, all the same. I am, at least, beginning to get some glimmerings of what it is I might want, which is more than I had at the start of the year. And I can't help but feel there has to be a better option than anything currently on offer. A combination of the convenience and comfort we've come to expect along with the simplicity and straightforwardness we once had, perhaps. That would be nice. If anyone finds something like that, don't keep it to yourself, will you? 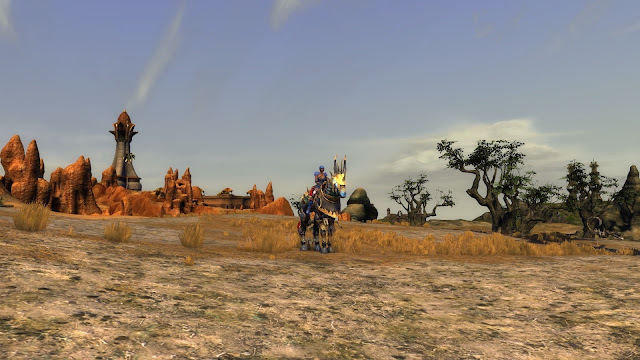 Yesterday I played four MMORPGs: EverQuest, EverQuest II, Guild Wars 2 and... Rift. It was like this. I wanted something I hadn't played in a while and Rift... well, Rift was just...there. It wasn't my first choice. I began with the not-so-mysterious alpha I'm under NDA for and can't talk about. It's been a while. They haven't been in touch. I was getting curious to see if anything had changed. Something must have because when I went to log in there was a forty-five minute update. I let that run while I looked around for something to do in the meantime. 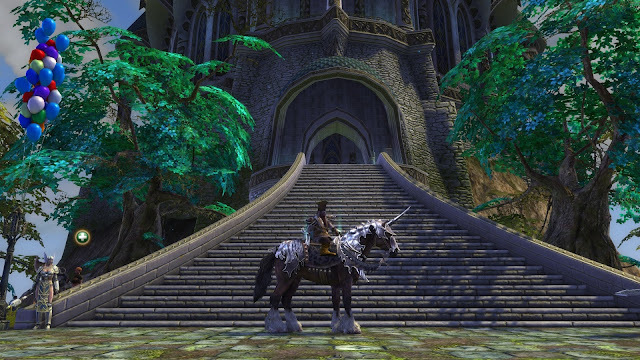 I thought about Lord of the Rings Online but the inevitable inventory hassle put me off. I considered Dragon Nest but it's closing down in May and anyway I've already downloaded the mobile version, Dragon Nest M, which appears to be pretty much the same game. Might just as well stick with that. I looked at Villagers and Heroes, which I've also installed on my new Kindle Fire (my phablet died last month. I am so done with of moble devices either breaking down or me breaking them...). I haven't set up an account yet, though and it was getting late. Really, who can be bothered with the admin? Gazing blankly at the dozens of possibilities on my desktop, I just happened to notice Rift's distinctive pink blush. That reminded me of Wilhelm's recent post on the closure of Rift Prime and I thought "Hey, didn't I have a character there?" Still half an hour before the alpha patched. Why not? According to Wilhelm, Prime characters all went to the U.S. Trial Server, Reclaimer. Never heard of it and I'd already forgotten the name when I patched up and logged in. I Only know the name now because I just went to TAGN and the official forum post to check. At character select I saw my regular seven characters on Faeblight. It took me a moment to remember that in Rift you can move your characters from server to server at will, and another moment to remember how. Once I'd figured it out I saw I had two more characters on two other servers so I figured one of them must be my ex-Prime guy. The first I looked at was a Level Eight Bhami I dimly remember making for some reason. I'm sure I had a reason... The other was a Level Nineteen Dwarven Cleric. That sounded about right. I very vaguely seemed to recall getting as far as Gloamwood on Prime before I gave up. That would have put me somewhere in the high teens. I logged the Dwarf in. He was in Sanctum, the Ascended's Capital-in-Exile. There was a festival going on. There were balloons and bunting everywhere. And people. Lots of people. 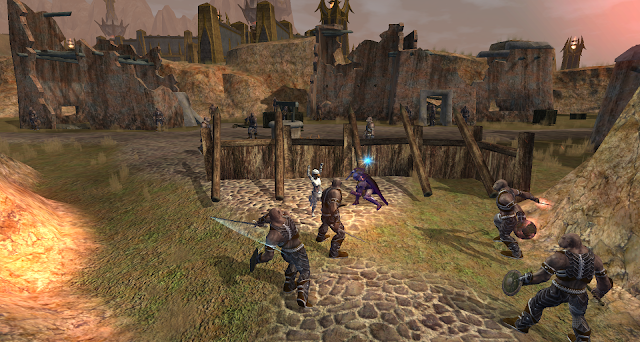 Rift is one of those games that fills every available space with NPCs so it always looks busy but there were plenty of actual players, most of them on bizarre mounts, skittling about in all directions. I wandered around the festival grounds for a while. 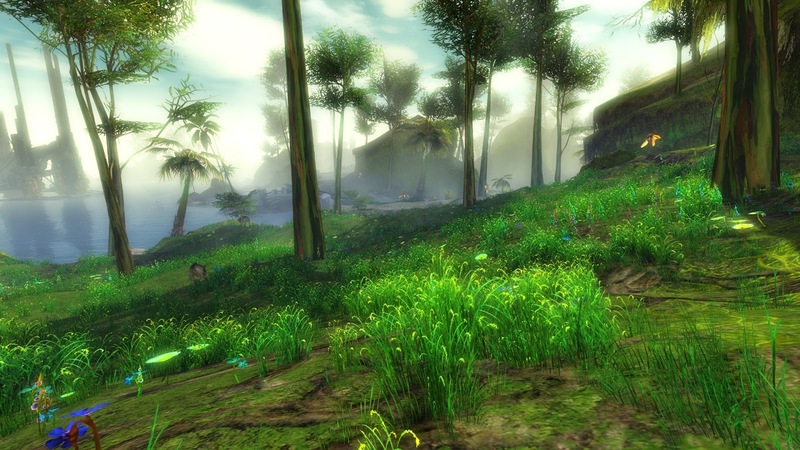 Another thing about Rift: it looks much better in game than it does in screenshots. The pictures in the post don't do it anything like justice. Every time I log in I end up gawking. All the colors pop. There's incredible detail. The set design is first-rate. It's a gorgeous world. After about half an hour I ported back to Sanctum. I noticed I had mail so found a mailbox (old school!) and checked my post. A ton of freebies. Rift is the most ridiculously generous game with handouts. Always has been. I took most of the stuff which, of course, filled all my available bag space. Should have seen that coming. I found the bank and stuck some of the excess in there. Then, with a whole bag and a half free for loot, I thought I might do some adventuring. I was going to go to to Gloamwood but it's a long ride on a slow pony. I could have ported but I couldn't remember where the portal was. I'd already looked where I thought it should have been and it wasn't there. I was checking something else in Options or Systems, one of those, when I happened to notice the button for Instant Adventures. I'd forgotten all about those. We didn't have them on Prime, of course, and it's probably a year or more since I was on a regular server. The recommended activity was some kind of event related to the current holiday so I took that. I thought it would be the busiest and therefore the fastest to pop. It was fast, alright. Less than ten seconds later I was in a Raid, running around some huge city I didn't recognize, listening to some bombastic, moderately amusing announcer, who reminded me a lot of that annoying jerk in WildStar, only not actually as annoying, while I tried to keep up with a bunch of strangers, most of whom seemed to have no more idea where to go or what to do than I did. The quests kept popping, the announcer kept yelling, mobs kept dying and the loot kept flowing. So did the XP. It was chaotic, meaningless and disturbingly enjoyable. As gameplay goes it felt like some kind of parody. The Benny Hill theme music might as well have been playing in the background. I was getting xp and loot before I even found my fellow raiders. When I did I realised I only had two skills on my hotbars, one attack and one heal. Didn't seem to matter. I just spammed those. No-one said anything. No-one cared. I did a full level in less than half an hour. I was there just long enough to hear the announcer begin to repeat himself as the "Raid" cycled back through the point where I'd come in. It seemed to be on a continual loop. Groundhog Day gaming. The loot was piling up, mostly in sealed bags, and I wanted to see what I'd got so I bailed. Back in Sanctum I sterted to unbox and soon my inventory was full, again. In thirty minutes the "Raid" had trebled the money I must have made in the previous nineteen levels so I bought another bag slot for my vault, then I did a circuit of Sanctum looking for the auctioneers, found them, bought a bag, went back to the bank and sorted myself out. Once again, Rift proved to be the most generous of all MMORPGs. Half an hour in that "Raid" netted me not only a full level and a big chunk of cash but also several pets, three or four pieces of cosmetic gear and a load of useful consumables. I could play GW2 for a month and not get a haul like that. Possibly a year. It was motivating. It shouldn't have been but it was. It made me feel I'd not wasted my time. Odd, because really I had. The event was purposeless. The gameplay required literally no skill at all. It hadn't mattered a jot that I didn't know what any of my abilities did; it made no difference whether I used them or not. Getting a bunch of stuff you aren't going to use, on a character you don't care about, in a game you don't intend to go on playing, by doing things that take no skill or understanding, should not be satisfying. But it was. And fun. Let's not forget fun. What's more, it made me want to play again. And sort out my characters. 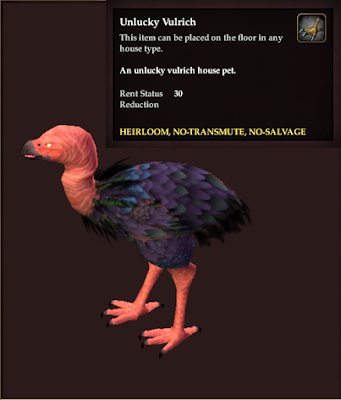 Get some of those pets and cosmetics moved to different people, who'd appreciate them. And I still don't know what happened to my Prime character. That Dwarf can't be him. He was wearing a few things made by one of my other characters (Rift puts the maker's name on crafted gear) and I don't think that would have been allowed on Prime. Which, in turn, begs the question "Who was that Dwarf?" I think I'll just go log in again. There's a mystery and I ought to get to the bottom of it or they'll revoke my Scooby card. On the PC I’m constantly distracting myself with FOMO around Twitter or Discord. I run with 2 monitors and always have social media up on monitor two and constantly scan it. Because of this I just don’t “sink in” to a game quite as much; my attention is always divided." This triggered me. 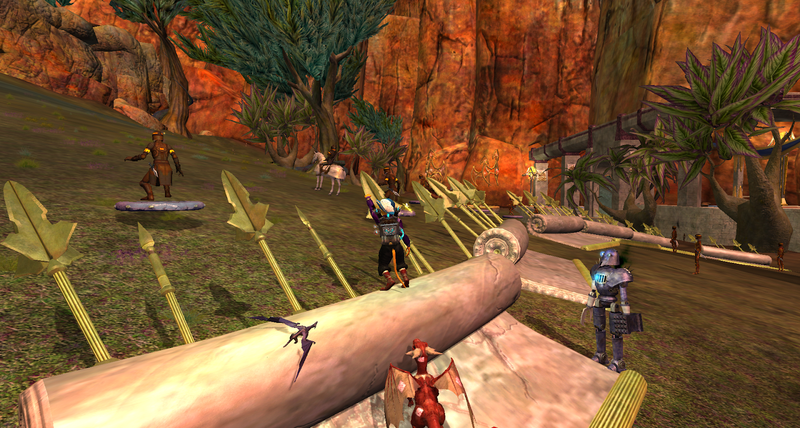 I got a flash memory of playing EverQuest in the distant past. Shivers. For many, EQ was the very definition of "immersion", a true virtual world, where people set up home, lived their lives. That scared people. These days we hear very little about the supposed addictive nature of the hobby but back then MMORPGs were frequently cited as potential mental health nightmares. In the early 2000s, one of EverQuest's most widely-used nicknames was EverCrack, a reference to the infamously addictive and soul-destroying cocaine variant that was by far the most demonized drug of its day. 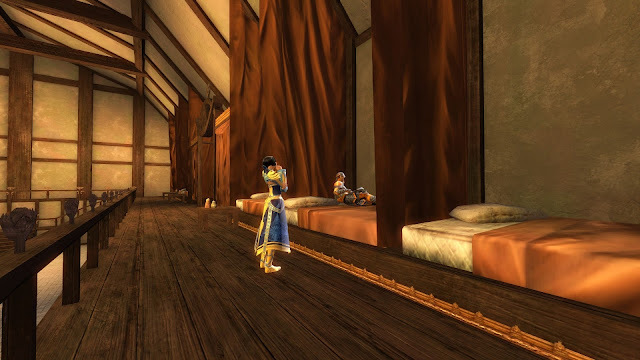 I have no extant screenshots of EQ before about 2004. This looks likes a very early version of the moveable, windowed UI. The mere fact that I felt I might need to gloss "crack" when mentioning it 2019 is an indication how quickly these things change. I listened to a very interesting item on BBC Radio Four last week that asked the question "why is crack cocaine rarely mentioned in the news these days?" to which the answer appeared to be "because the crack epidemic went away". And why did the drug that the media spent so much time and energy warning us about not turn out to be the apocalyptic scourge they predicted? Luckily the program had an answer: apparently all that endless, hyperbolic publicity gave the drug such a bad name it actually did terrify people to the point that the curious wouldn't touch it, demand dropped, tastes moved on (or back, in many cases, to regular cocaine). The juicy crack stories dried up and, by and large, everyone forgot about it. For a while. As anyone who's been around for longer than a couple of decades soon begins to realize, these things are cyclical. If you google "trends in crack cocaine news stories" you'll find that, as reported, ironically by the BBC, crack is back. As in drugs, so in music, movies and gaming. What was old is new again. What goes around comes around and like that. Fortnite, of course, is the new EverCrack. Or it was last year. Are people still worried about Fortnite or are we on to some new demon already? The roundabout keeps spinning faster and faster. It's hard to keep up. 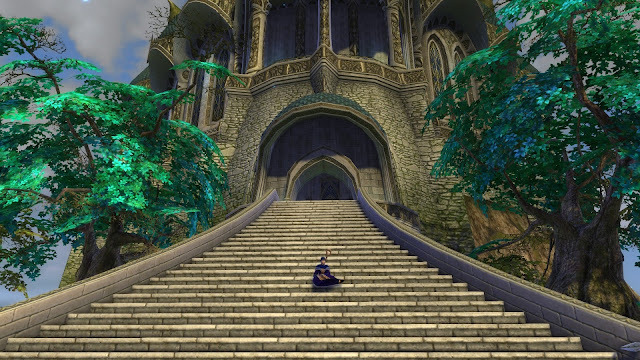 Getting back to EverQuest, what Pete's comments made me think of wasn't so much the addictive rush of early EQ as its sheer purity. He's absolutely right about the modern approach to MMORPG gaming on PC. Compared to the original experience, what we enjoy today is adulterated, fractured, incomplete. One of the reasons frequently cited for the decline of the genre is the contemperaneous rise of social media. It's become a truism to assert that turn-of-the-century MMORPGs were the social media of their day. For many hundreds of thousands - millions - of people, playing an online game provided their first and for a while their only experience of talking in real time to friends and strangers around the world. This is entirely true. What's less well-reported, I think, is the focus the primitive technology of the late 20th and very early 21st centuries brought to the mix. In those increasingly difficult to remember days we tended to do one thing at a time. Well, perhaps not one. Fewer, though. Certainly fewer. If you played EverQuest you had to concentrate on that. There were consequences if you let your attention slide. Corpse runs. Experience loss. Misery and despair. More than that, the game itself resisted distraction. You could not tab out to look something up on Allakhazam let alone check your email. 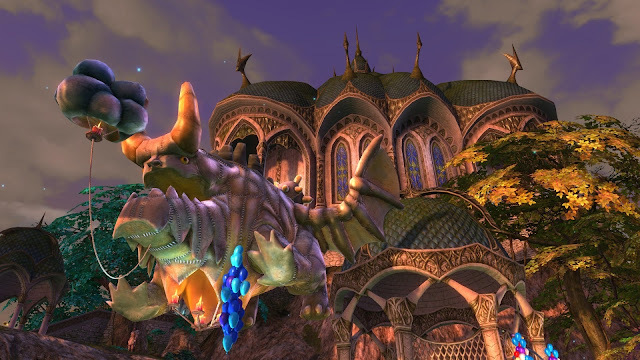 EverQuest could not be windowed. It used all your screen space and all your processing power. You played it until you'd had enough then you closed the program and did something else. 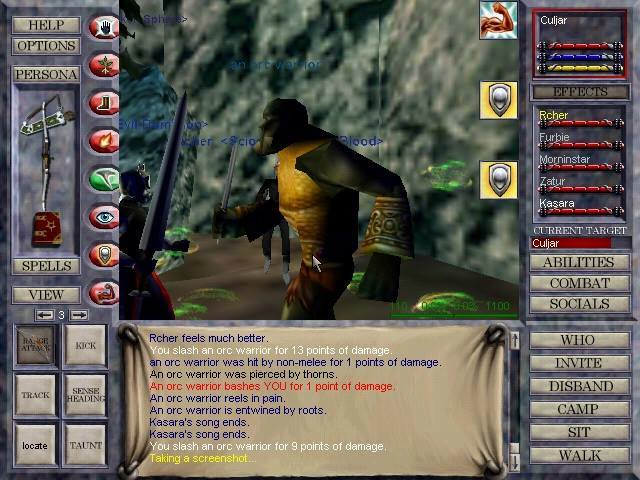 There are surprisingly few images of the original UI online and I strongly suspect that those there are come from P1999. Unless you were bad. If you were, you might download a piece of third party software called Win-EQ which, among other things, allowed you to play EverQuest in a window. Illegally. Against the terms of the EULA. Risking a ban should you be caught. I'd been playing EQ for several years before I even heard of Win-EQ. When I found out what it was I wanted nothing to do with it. It was cheating. No-one I knew (and at that time I knew scores of people in game) admitted to using it. It was for bad people. 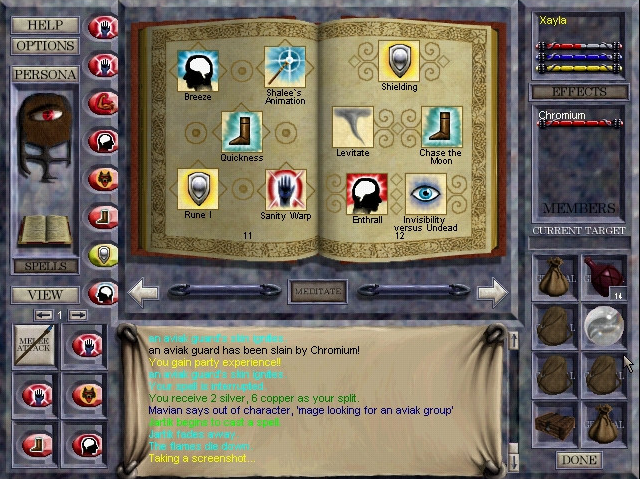 We goodies sat and medded with our spellbooks open, filling the entire screen. 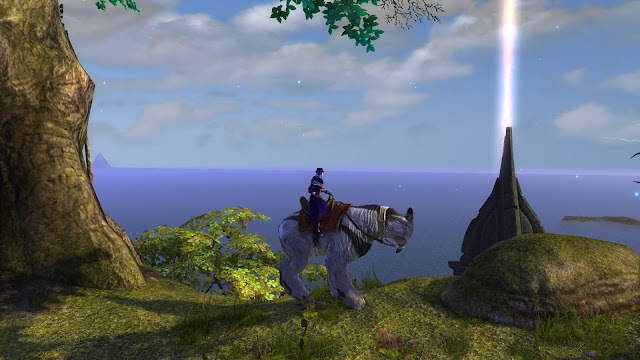 I played for years with no distractions or media other than the official EverQuest display, a nine-inch square inside a UI that filled the rest of my 14" CRT monitor, my only contact with the outside world the chat box at the bottom center of the screen. That was immersion for you. As for internet access via a handheld device, well that was the stuff of science fiction. Imagine it - something the size of a paperbook book or even a pack of cigarettes that you could tap with your fingertips to look up what spells a Level 27 Druid got or where to go for the Level 24 Mage pet. Fantasy! What I had, in point of fact, were three ring-binders with sheafs of paper printed out from the various essential online resources. And a book to read during long med breaks. After a couple of years I also started to listen to the radio while I played, if I was soloing. An actual radio, in the room with me, not some online app. Perhaps, looking back, the experience wasn't entirely pristine but it was undeniably less diluted by distractions and diversions than it has been these last dozen years. I never tabbed out at a loading screen and found myself twenty minutes later, watching Rilo Kiley on YouTube with no memory of how I got there. As Pete says, consoles don't generally dicker with such dilletantism but they can't stop you from having your laptop open beside you on the couch, your phone on the armrest, your tablet on the side-table. Nothing any games designer can do can prevent you from spoiling every surprise or taking a wrecking ball to your sense of immersion if that's what you want, or if that's what you can't help yourself from doing. Genies can't be put back in bottles even though that's a quest we've most likely all done, successfully, many times. 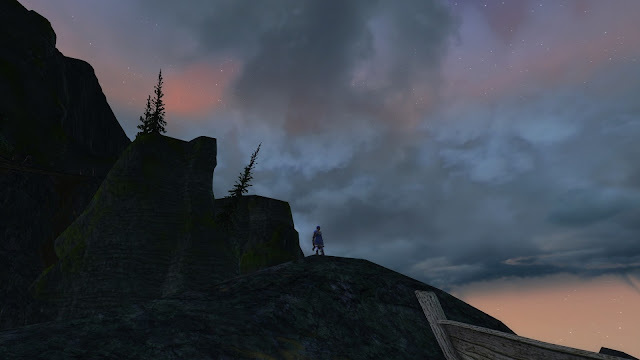 The wave of faux-retro MMORPGs still in development hell - Pantheon, Lucimia, Camelot Unchained et al - all rely to some extent on reviving and recreating that sense of immersion and community. Holly Longdale, in the numerous interviews she's given for EQ's 20th, has been hammering home the rediscovered belief at Daybreak Games that "social dependency is who we are". It may be who they are. But is it who we are, any more? I am not a fan of April's Fools Day. Not since I was about nine years old, anyway. Game developers, however, seem to love it. Or pretend to. Every MMORPG you can think of will be paying some kind of service, lip or fan, to the Feast of Fools this weekend. 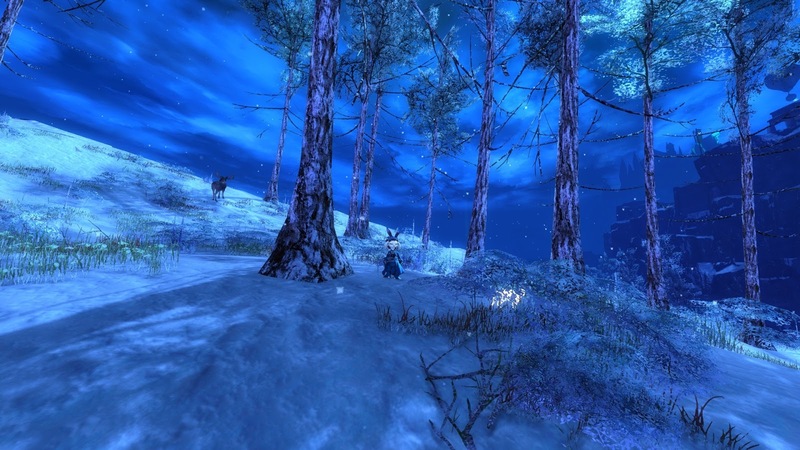 Guild Wars 2 long ago locked the date to the inexplicably popular Super Adventure Box, which returned on Thursday. I haven't bothered with it yet. I don't hate it. I liked it well enough when it was new. Probably seen enough of it now, though. I hear there are some new races. Might try those, I guess. I do like racing. 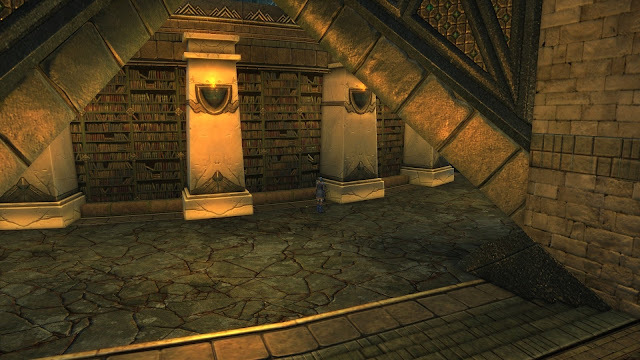 Over in EverQuest II we have a much more appealing prospect in Bristlebane Day. There really is a "day", too. 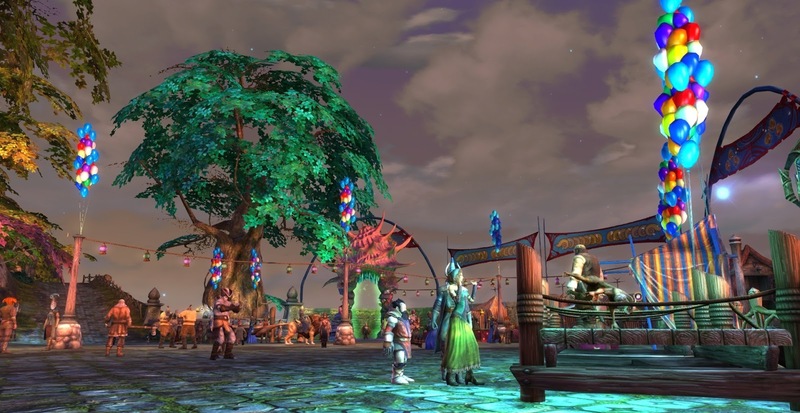 The whole festival runs for a couple of weeks but there's a bunch of stuff that only happens on the First of April, including rabbit-catching, special harvests and the Sphinx questline. Also, and this is one I always forget, it's the one chance in the year Beastlords get to tame a were-rabbit warder. Also a were-bear but who cares? Were-rabbit, dude! 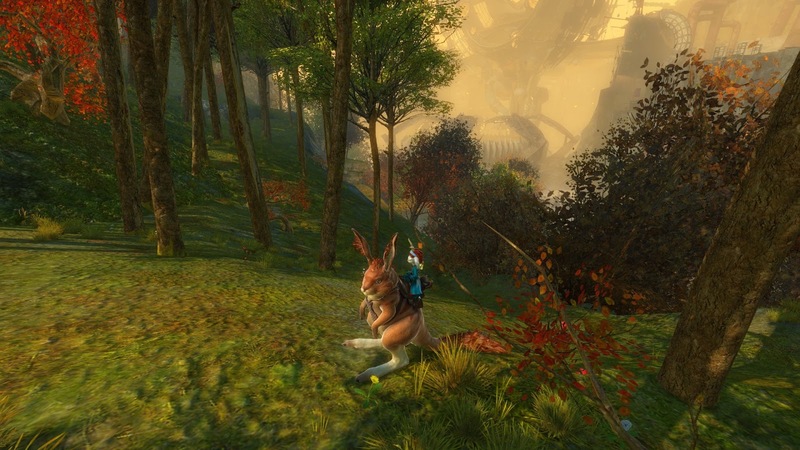 A lot less fuss and an easy run is the new quest, handed out by Zruk the troll in Enchanted Lands. All Bristlebane quests begin in Enchanted Lands, presumably because Bristlebane Fizzlethorpe, God of Mischief, is a Halfling. Identifies as a halfling, maybe I should say. God, after all. Pretty much be what he wants. I did the new quest right before this post. It took maybe fifteen, twenty minutes, most of which was me running around not knowing what I was looking for. I thought I'd do it the proper way, without looking anything up. I was expecting it to be quick. On a max level character with unlimited Fast Travel via All Access membership, most movement-gated questing is trivial. Add in both Tracking (which I give my Berserker by way of the extremely cheap Scrolls of Tracking that I buy from the Cash Shop) and Track Harvestables, which I have by dint of being a maxed-out crafter, and there's not much that slows me down on a scavenger hunt. Apart from being in the wrong place, looking for the wrong thing, that is. Turns out pretty much the entire Antonican seaboard is known as the Coldwind Coast and I was on the wrong side of the map. Plus the clovers aren't shinies as I thought they would be, nor are they drops form the Bristlbane holiday harvests, Jester's Gardens. After ten minutes looking for the things I lost patience and googled the quest. That got me nowhere. No-one's written it up yet. It must have been tested, though, and EQII testers love to chat about what they're testing and how much it's annoying them, so I went to the forums to read the feedback. Unfortunately for me the general opinion seemed to be that the quest worked pretty much just fine from the get-go, so no-one felt the need to walk through the steps. I finally had the brilliant idea of googling the item I was looking for, the Coldwind Clover. That took me to an EQII Maps link, where the location was marked. I opened my map in-game to orient myself and guess what? 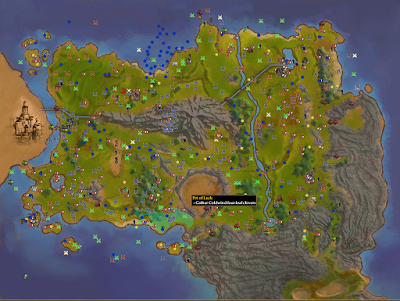 There was a big, green quest highlight picking out the area where I was supposed to be searching. Could have saved myself a lot of time there if I'd looked but I thought they'd dropped that system a couple of years back in the interests of "immersion". Not for holiday fluff quests, evidently. Once I'd got that sorted it was barely five minutes to do the whole thing. Clovers in Antonica, Vulriches in Kylong Plains, White Heather in Butcherblock. Back to Zruk each time for a hand in and the next stage. Without Fast Travel I guess it would take maybe half an hour. As I've said before, that Fast Travel perk is all but worth the monthly sub on its own. 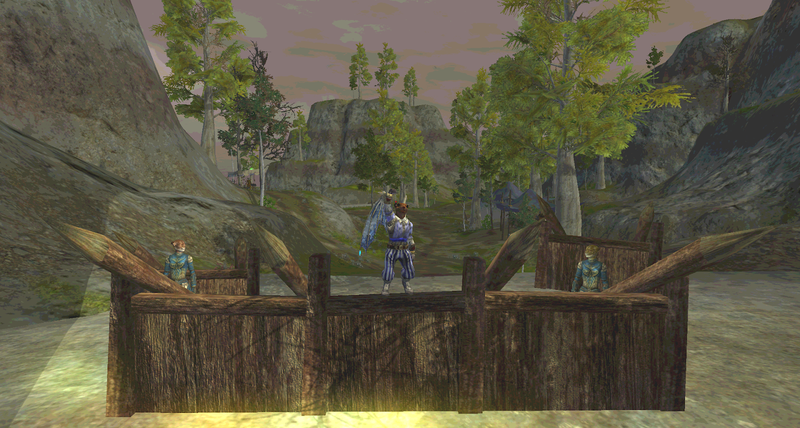 Which does beg the question of why I'm spending 90% of my EQ2 playtime at the moment on Kaladim, where All Access is mandatory but Fast Travel is disabled, along with every other innovation that happened after 2005. Also, no holiday events. While I was in Enchanted Lands I did the race a couple of times. Got a hat. 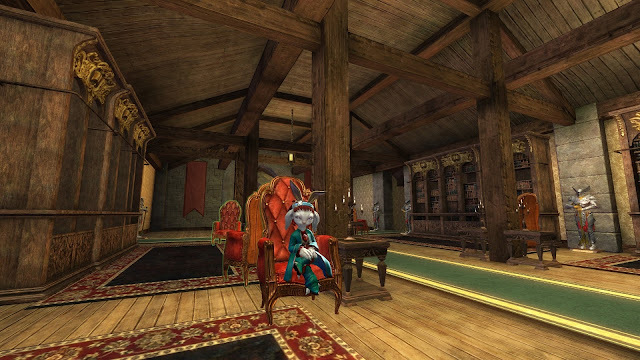 Then I went to Freeport and bought the new Bristlebane crafting book. Also last year's, which I seem to have missed. And a rubber chicken. Playing on Kaladim, and also reading Wilhelm talking about his adventures in old Norrath and Middle Earth, it's finally coming home to me how unecessary my search for a new MMORPG to indulge my passion for meaningless leveling has been. It's not new games I need, it's just more characters in the ones I'm already playing. I think I might treat myself to some more character slots.